Once students are linked as siblings, you can process billing & payments for the family easily. The parents will also see all of their children when they log into the Parent Portal on the Kinderlime app or website. On the website, go to My School --> Students. Confirm the link or cancel if they are not siblings. If the students do not share a last name, click on their name (under My School --> Students) to view their profile and use the "Add Sibling" button to select and link their sibling. 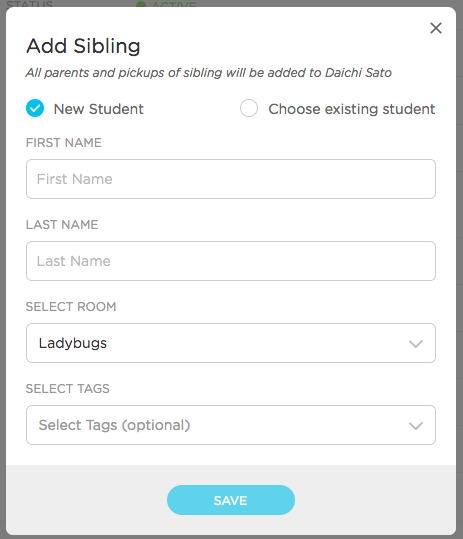 Alternatively, you can click on the name of the sibling who is already in the system and use the "Add Sibling" button to enter their sibling's information. You'll see a pop-up that will allow you to enter the sibling's information directly, or choose to select the sibling from the active roster. 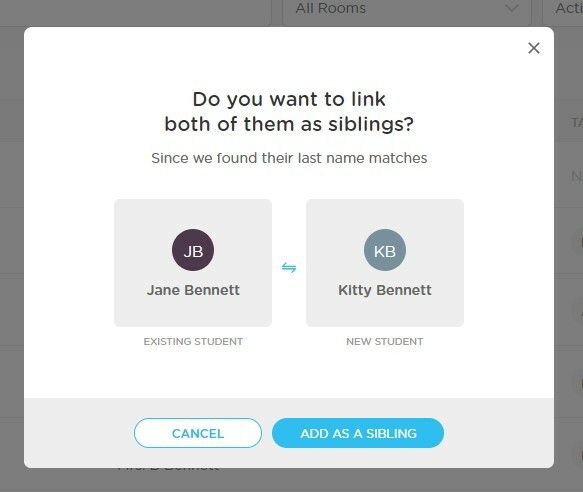 Use the "Add Sibling" button to select and link their sibling.